A Forbidden Forest themed souvenir wallet including a gift ticket with space for you to write your own message. 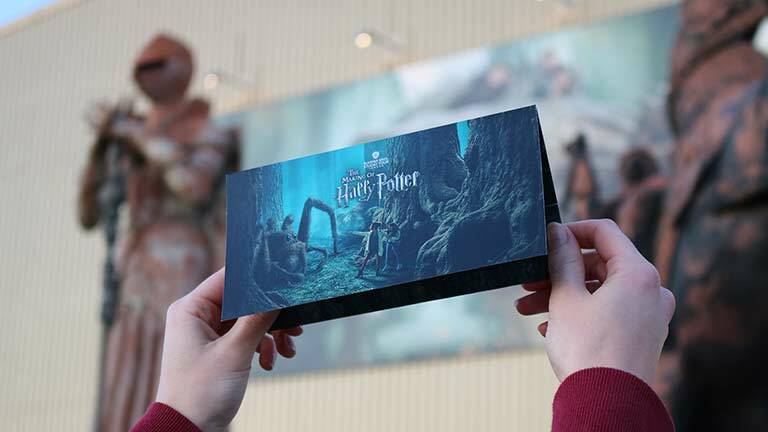 You can choose to collect your gift tickets at the Studio Tour. Make your gift extra special by including a gift box, with two design options to choose from. 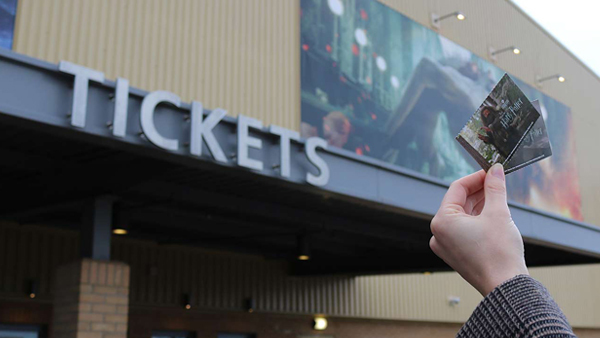 Inside the souvenir box, you will receive an envelope containing a gift card printed with a personalised message and a letter with all the information needed to redeem a gift ticket. Gift tickets are undated and the recipient will need to call our Visitor Services Team on 0345 084 0900 to book a date and time of their choice. All bookings are subject to availability. We advise you book at least 6-8 weeks in advance to avoid disappointment. Choose from individual (adult/child) or family gift tickets. You will have the option to enhance the experience by adding a Souvenir Guidebook or Digital Guide to the booking. Click here for more information about enhancements. Multiple gift tickets can be purchased on one booking, only one box will be sent out per transaction. * You will receive an email when your order has been dispatched. Your gift box will be dispatched within 5 business days after you have placed your order, and will arrive within 3 business days after dispatched. ** You will receive an email when your order has been dispatched. Your gift box will be dispatched within 5 business days after you have placed your order, and will arrive within 14 business days after dispatched, depending on location. Please complete your details and include the recipient’s first name. This name will also be needed when they call to book their date and time. Please contact us on 0345 084 0900 within 24 hours should you need to amend these details. Next, enter your chosen delivery address. You can opt to receive the gift box yourself or send directly to the recipient. As the purchaser, you will receive a confirmation email once the gift box has been dispatched. Finally, review your order and enter a short message limited to 100 characters which will be printed on the gift card. The below example shows how your message would be displayed.